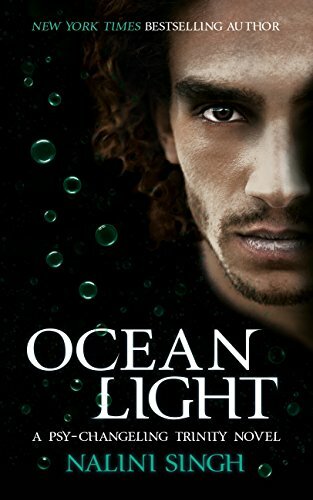 My thoughts: I look forward to each new Nalini Singh novel, but there were a couple of things making Ocean Light one which I was particularly eager to read. Firstly, it's only the second book in her new 'Psy-Changeling Trinity' series arc. We're still very much setting up the big conflicts and establishing the focus on the main players involved in the Trinity Accord and the new ruling council. There were some parts in Silver Silence which I didn't think were as strongly written as Singh's previous books, but Ocean Light is a return to force, which was a relief. The other big thing drawing me to this book was its focus on the BlackSea clan, who we knew very little about until now. They're a group of sea-based shapeshifters who largely keep to themselves, and there had only been tantalising glimpses of them in the earlier books set in this world. I've always been intrigued to learn more about them, so I was excited to get stuck in. Bo wakes up from a coma to find himself on board a BlackSea station anchored deep beneath the surface of the sea. Before the accident at the end of the last book, the chip in his head which stops anyone reading his mind had been rapidly deteriorating, and a scientist on the station thinks she has a possible solution. If it's successful, the deterioration of the chip will stop but if it's not, Bo could be left with his mind badly damaged. The process will take a few weeks, and in that time he falls in love with the station chef, Kaia. Kaia is deeply distrustful of all humans due to events in her past and the recent kidnapping of some of the most vulnerable BlackSea changelings. One of the most recent to go missing was a good friend of hers, and before he did, he shared evidence that pointed to the Human Alliance being firmly involved in the kidnappings. Bo and Kaia have a lot of problems to work through in order to set their relationship on the right tracks, with the impending horrible consequences if the experiment on Bo's chip goes wrong, and Kaia's difficulties in trusting him. On top of that there are the problems of a new human being accepted on the station, or not, given the tension between BlackSea and humans. Bo is trying to investigate allegations against the Human Alliance and get to the bottom of a serious betrayal, all while stuck underwater on the station. I think Ocean Light is a true return to force for Nalini Singh. She strikes the perfect balance between the romance and a tense, twisting but still believable politically-anchored plot. It harks back to the early Psy-Changling books: a newcomer tries to adjust to a Changeling society which has good reason to be hostile towards him; a tight-nit, intriguing cast are introduced; and ultimately, working together and love are a key part of the solution. There's still a whole lot to learn about BlackSea in future books, but there were some particularly memorable characters in Ocean Light, such as Kaia's host of cousins, who I'd love to see staring in future books. Ocean Light had all my favourite things about the Psy-Changeling world, and I'm relieved that Nalini Singh certainly isn't running out of steam with the world. I'm giving it 9/10, and as ever, I'm left eager to read the next one. Description: Lilah Fox has just returned from the hen party from hell, vowing to actually spend time with her boyfriend and focus more on herself. Then she gets the whatsapp from her best friend Lauren to say she's just got engaged. And as maid of honour, Lilah just signed up for weekend wedding fairs and weekly planning meetings for the next year. Just when she thinks things can't get any worse, she's about to discover a new fresh hell. 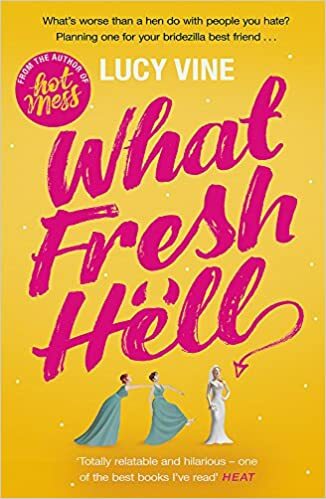 My thoughts: What Fresh Hell is a contemporary fiction book about Lilah, who comes home from a horrible hen do, sick of weddings, only to be asked to be a bridesmaid for one of her best friends. In fact, her whole coming year seems to be full of people getting married. It's all putting a lot of strain on her relationship with her boyfriend, and her finances. Add to this some problems at work and with the old folks social group she helps to run, and Lilah really isn't having a great time. I have to say, I didn't love this book. A lot of the so called 'friends' who Lilah goes to hen parties with, or sits with at weddings, seem completely horrible and I couldn't understand why she was willing to keep putting effort in to those friendships when the other people were treating her horribly. I also got frustrated with Lilah herself over how much she's neglecting her boyfriend. He clearly really loves her, and is trying to do nice things for her and carve out some alone time for the two of them together, but Lilah is completely oblivious to that. She consistently puts him last, and I didn't like that. It's a relatively light story, about the ups and downs of friendships, the importance of friends, and how the wedding industry can affect some people so much that they seem to turn into a completely different person. I think a lot of people will enjoy this as a light, funny, read-on-the-beach book. Perhaps in a couple of years when more people I know are getting married, I'll find it a bit funnier, but at the moment I like to think that if anyone in my friendship groups was treating others the way some people in this book do, they would be called out on their nonsense. 'Friends' who treat you like crap and take advantage of you are not friends. Despite my problems with the book, though, it was well written, and I will keep an eye out for more of Lucy Vine's books. I'm giving What Fresh Hell 6 out of 10. Description: Twins Finch and Birdie Franconi are stars of the flying trapeze. But when Birdie suffers a terrifying accident, Finch must team up with the geeky new kid, Hector Hazzard, to form an all-boys double act and save the family circus school. Together they learn to walk the high-wire of teen life and juggle the demands of friends, family, first love and facing up to who they are – all served up with a dash of circus-showbiz magic. My thoughts: Flying Tips for Flightless Birds is a lovely coming of age story set in rural Ireland. The book is narrated by Finch, but you also get blog post from Birdie, which give a bit more insight into how she's seeing the world differently from her brother. Finch lives and breathes the circus school, it's his favourite place to be. This is partly because the twins are very much odd ones out at their school, wearing flamboyant clothing and generally attracting the attention of the class bullies. The circus is his safe haven, and he can't imagine not having it in his life. Due to past events (which are eventually revealed, but not for a while), Finch doesn't really trust other people very much, and I liked how that really emphasised how much trust he puts in Birdie when they're on the trapeze. It also means that he's very reluctant to let Hector hang out with them, despite Birdie wanting to make friends. Then a few chapters in, Birdie has her accident, and suddenly Finch has to figure out who he is when he isn't half of Birdie-and-Finch. So much of his life has revolved around his twin, and now there are huge questions that make it seem like maybe she wasn't always as open and honest with him as he thought. I loved the focus on the twins' relationship in this book. Finch really struggles in a lot of ways without her, and at times it made him a not very likeable character, but even so, I felt like that was very realistic: his actions made sense given his past experiences and current uncertainty. Even when I was a bit frustrated and annoyed with him and the choices he was making, I hoped he would figure things out. I also liked the fact that while Finch is gay, and that's a fairly central thing, it's not a book about him coming to terms with his sexuality. I'm sure you'll be pleased to hear that there's a romantic plotline, too, but again it's a subplot, not a main focus of the story. Flying Tips for Flightless Birds was a really fun book to read. It tackles some deeper topics, and in my opinion does them well, but overall it was a happy book which made me smile a lot. It's a great portrayal of life in a small town, where everybody knows you and you've all been at the same school together since you were five, which is absolutely something I could relate to. 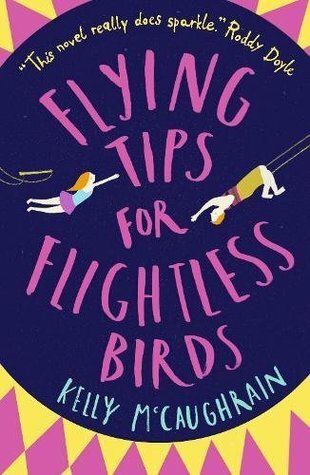 If you're looking for an entertaining, uplifting coming of age story with memorable characters, Flying Tips for Flightless Birds is definitely it. I'm giving it 8 out of 10.